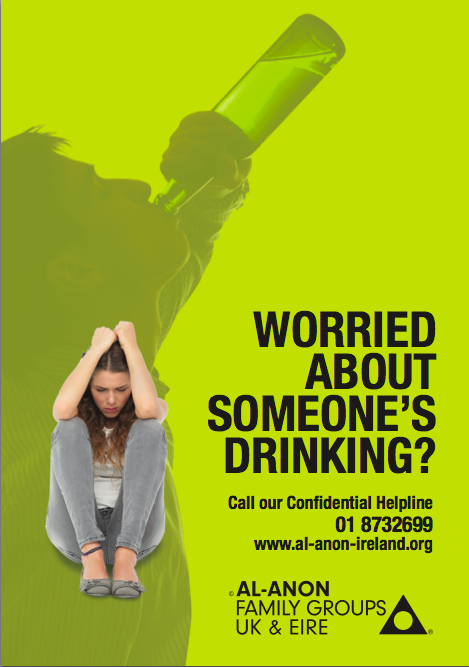 The Al-Anon Literature Store at 5 Capel Street now has stock of the new Al-Anon poster “WORRIED ABOUT SOMEONE’S DRINKING?”. The attractive green coloured poster comes in A4 size and is available in both high quality paper or laminated for extra durability. It is ideal for display in public areas with small noticeboards such as doctor surgeries, health centres, schools, community centres, sports clubs etc. The posters can be purchased by members or groups for local distribution or by professionals or members of the public who would like to help spread the message of Al-Anon.